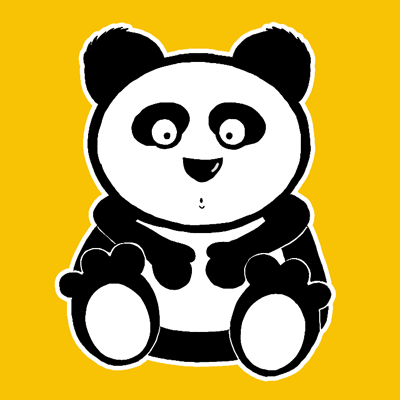 Today I will show you how to make a carton of a Giant Panda, which is a bear native to China. Pandas diet is primarily made up of Bamboo. 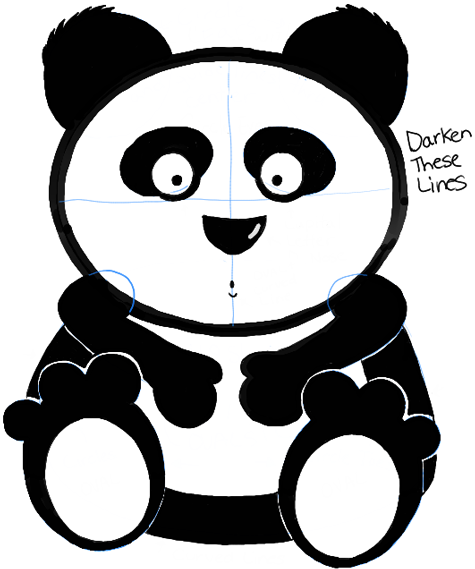 Today I will show you how to draw a cartoon version of a Giant Panda Bear. I will guide you thru the steps with simple geometric shapes, alphabet letters, and numbers. Have fun! 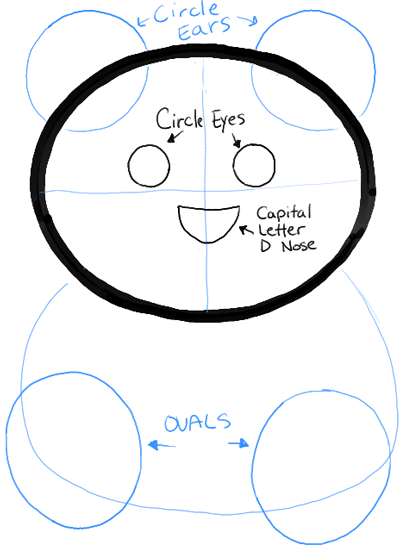 Draw a circle head with guidelines thru the center. 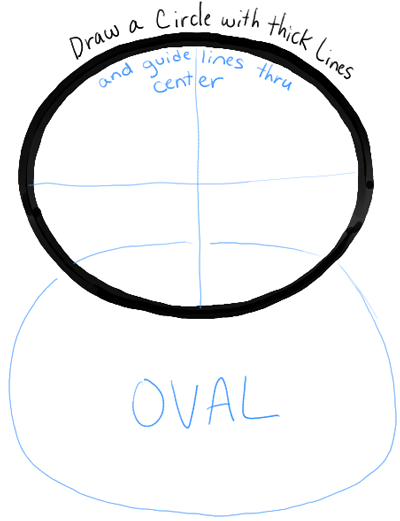 Draw an oval body. 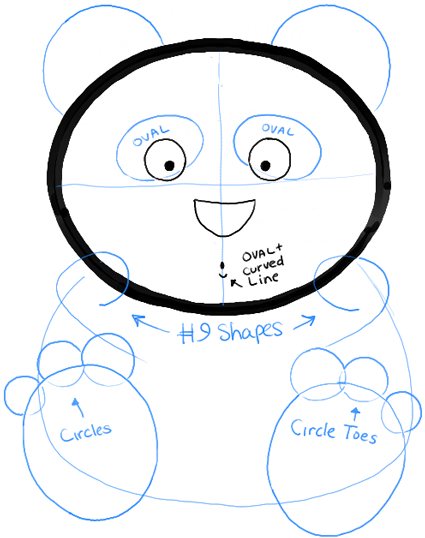 – Draw circle ears and eyes and oval feet. Draw a capital letter ‘D’ nose. – Draw circles inside each eye. – Draw an oval mouth and a curved line underneath. – Draw circles for toes. – Draw #9-shapes for shoulders. – Draw a bunch of curved lines. 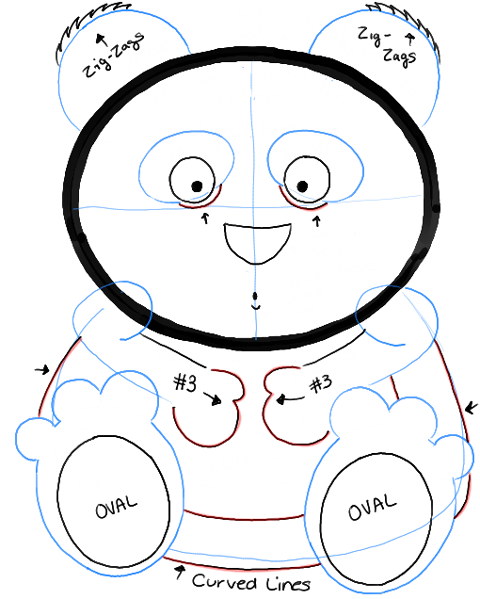 – Draw ovals inside the feet. – Draw zig-zaggy lines on top of the ears. – Darken lines and color in some parts black. 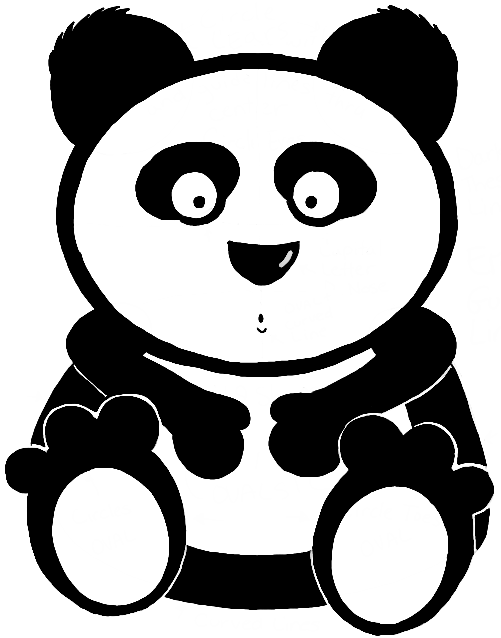 Now you have an amazing cartoon Panda Bear. Isn’t he adorable? I hope that you had a lot of fun and that you enjoyed this tutorial! This article was written on 26 Jan 2014, and is filled under Animals and Creatures.